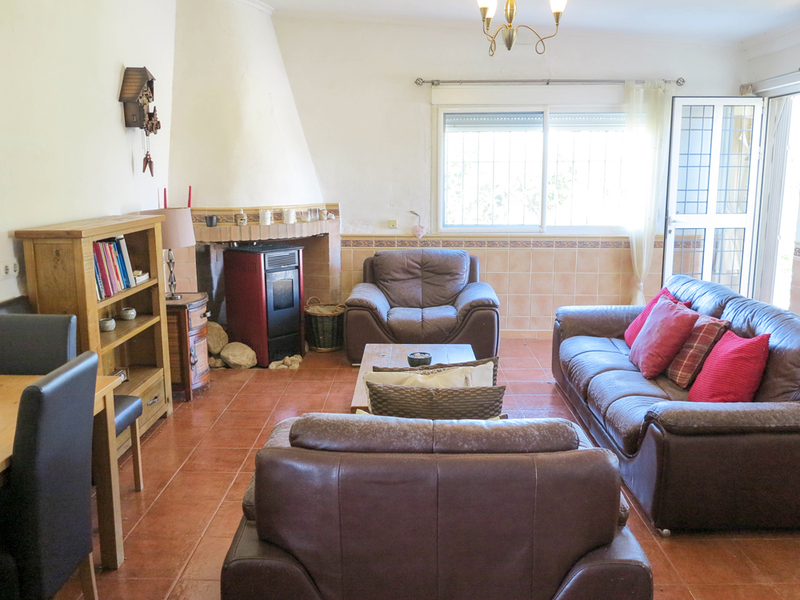 One of our many homes for sale in Valencia, located just over 1km from the town centre of Real. 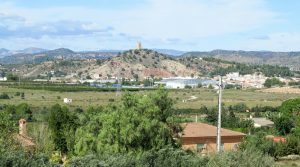 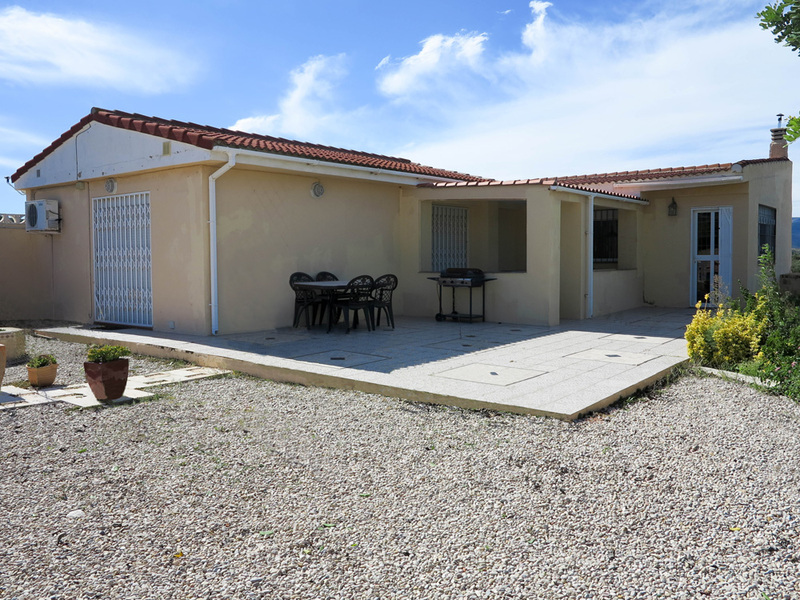 This property has impressive panoramic views and is situated on the countryside urbanisation of La Serreta, which is a pretty location and close to the town. 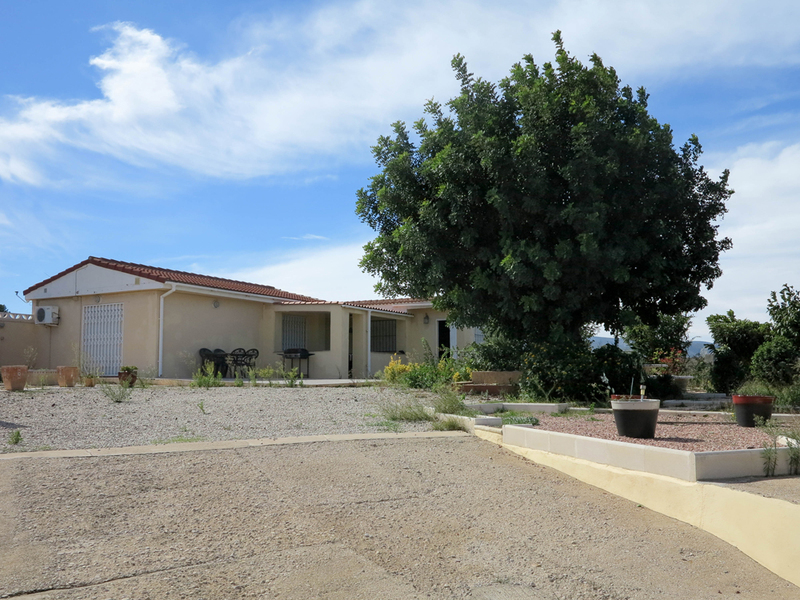 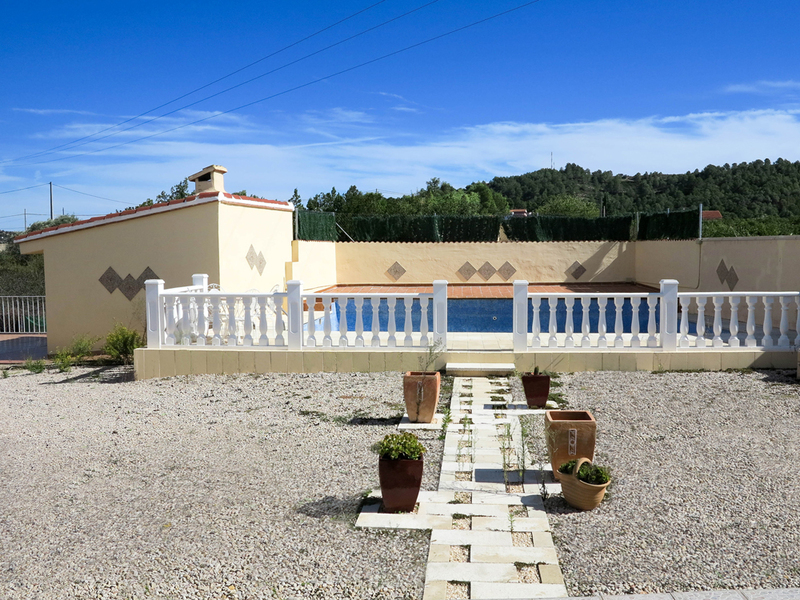 You have a driveway as you access the property, the main villa sits centrally within its own fully fenced grounds. 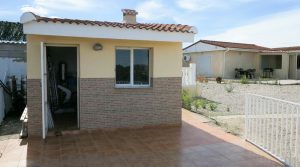 At the front of the villa you have a covered terrace with patio doors taking you into the main villa. 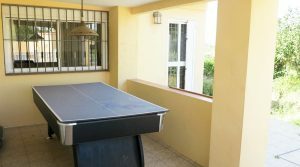 This covered terrace is a good space for outside dining, however, the current owners have a pool table positioned here. 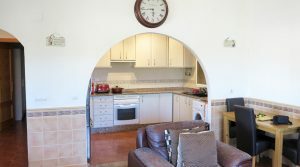 The main entrance to the villa is at the side and this opens into the spacious lounge/dining room complete with a modern and good quality pellet burner stove system. 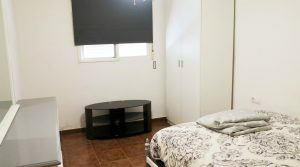 There is also hot/cold air conditioning in this lounge which is a luminous room with two large windows. 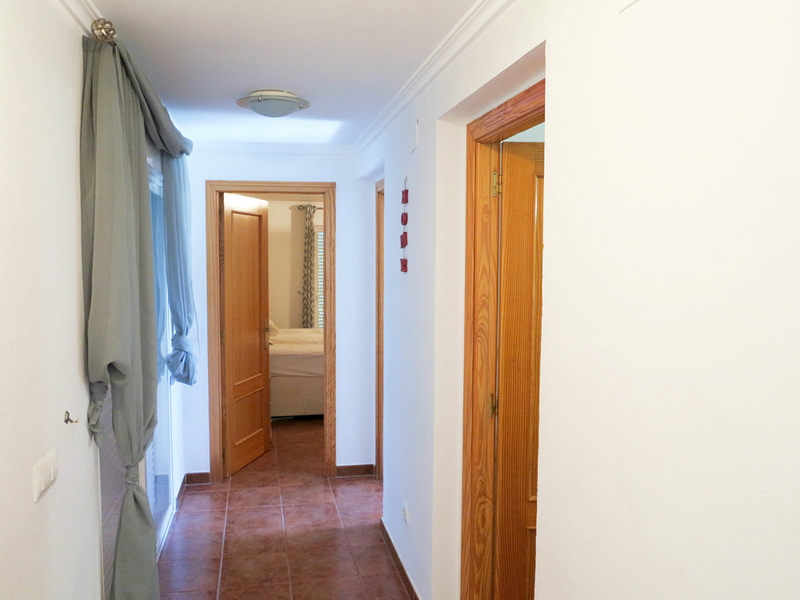 All of the windows in this villa are double glazed complete with the integrated blinds (persianas). 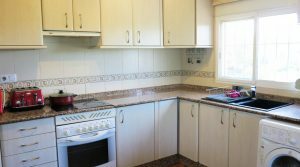 The kitchen is open plan to the lounge/dining room and has a good amount of units, thick granite, and modern electro-domestic appliances. 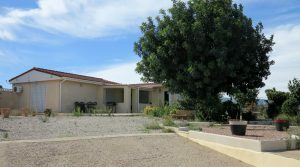 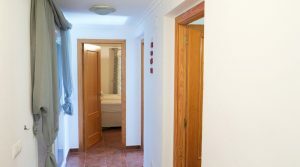 Passing down the central hallway you have access to three double bedrooms and a large family bathroom. 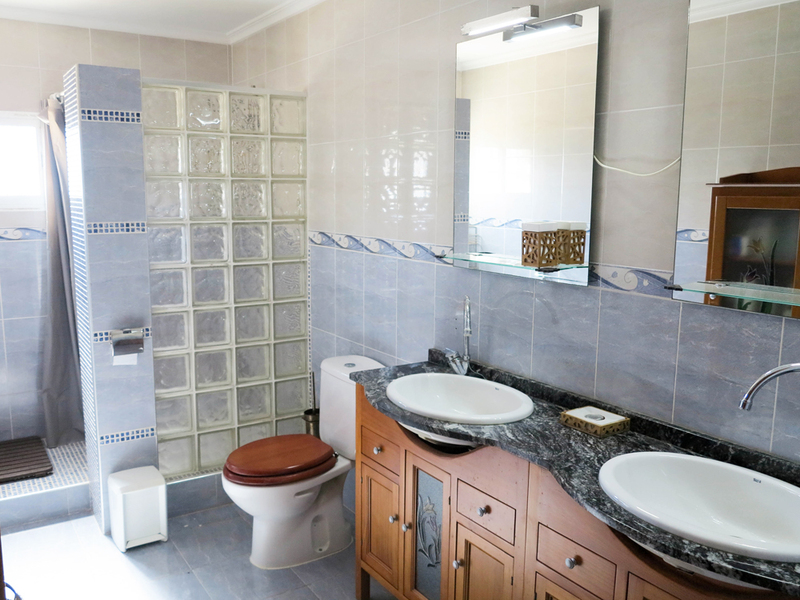 The family bathroom has twin sinks and a good size walk-in shower. 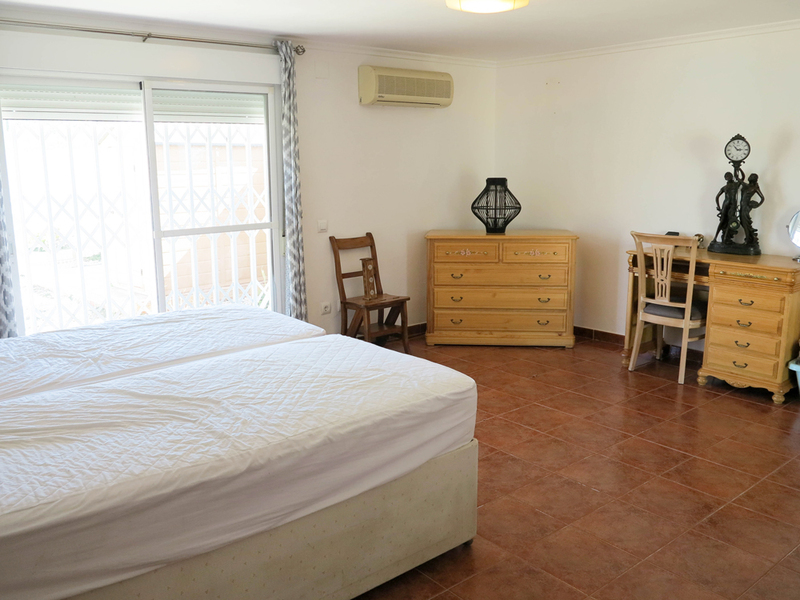 The second bedroom has a ceiling fan and the third has hot/cold air conditioning fitted. 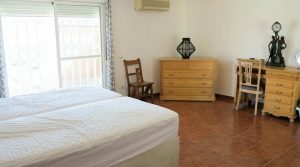 The master bedroom is large and it has hot/cold air conditioning together with patio doors overlooking the swimming pool and gardens, with a small terrace immediately outside its doors. 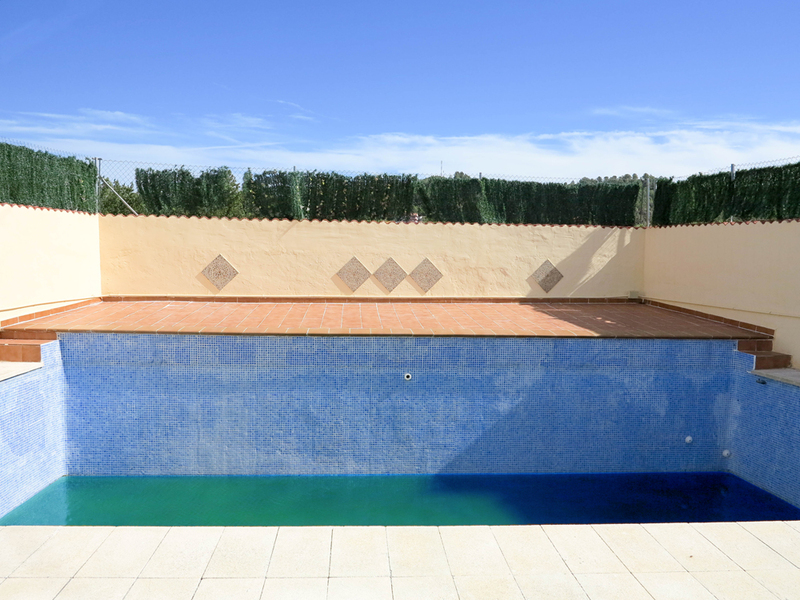 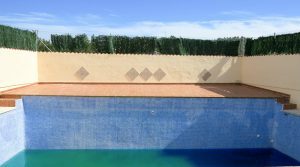 There is a very nice 9m x 5m tiled swimming pool complete with a filter and pump system and terrace surrounding it. 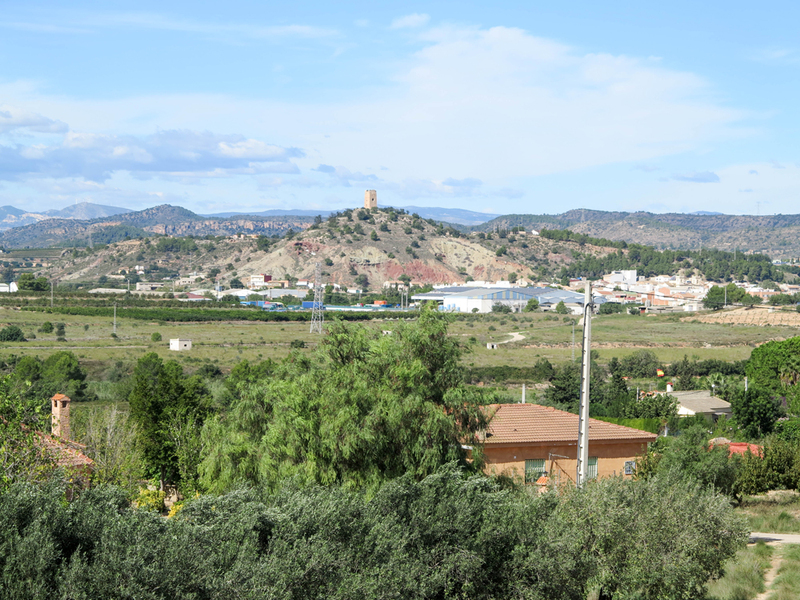 From the swimming pool terrace, you have lovely views to the mountains towards Dos Aguas and across the three nearby towns, with the castle in Montroy prominent in your view. 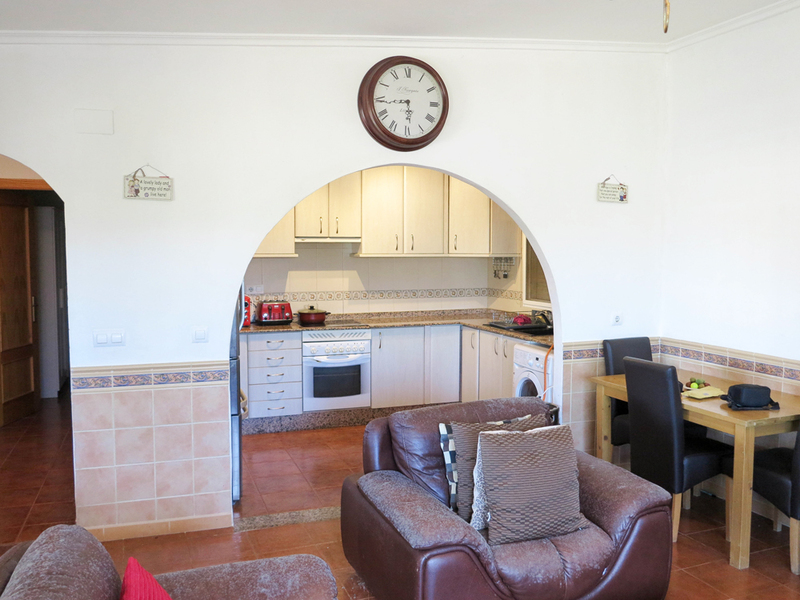 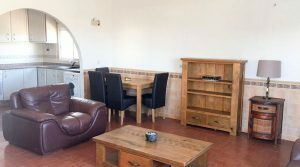 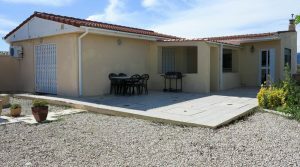 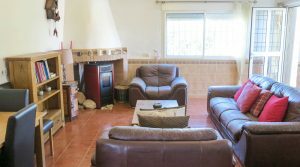 Adjacent to the swimming pool you have your outside kitchen or paella house, complete with water and electricity connected and this is a very nice room with a barbecue area. 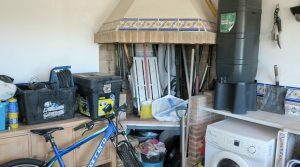 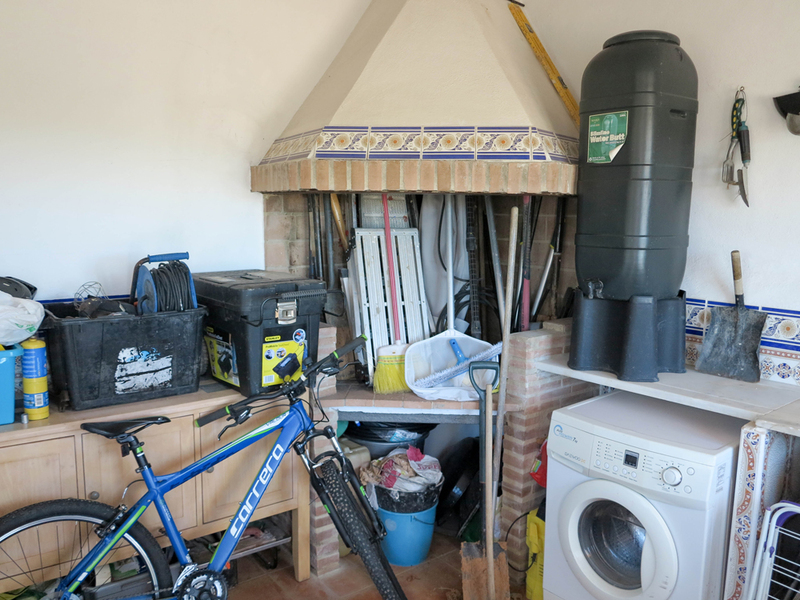 On the lower level of the swimming pool terrace, you have an underbuild store room, ideal to store a motorbike or your bicycles which you would be spoilt for choice to use on the paths and trails in this picturesque area. 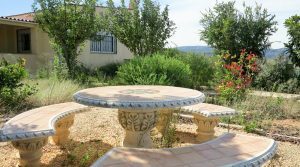 In the centre of the gardens to the front of the villa, you have another outside seating/dining area with those lovely views and there is an additional terrace on the lower area to the side of the villa, accessed by a staircase. 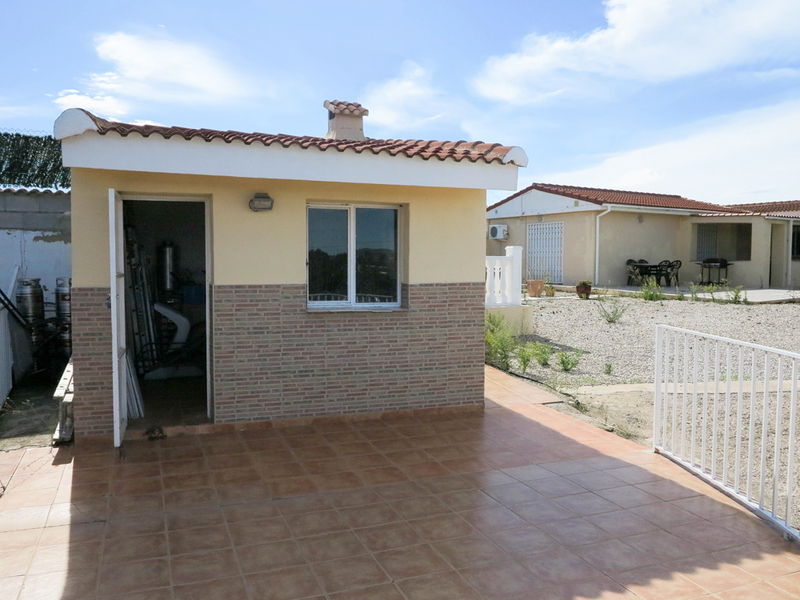 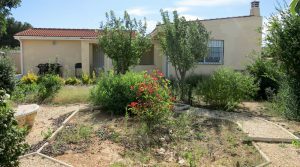 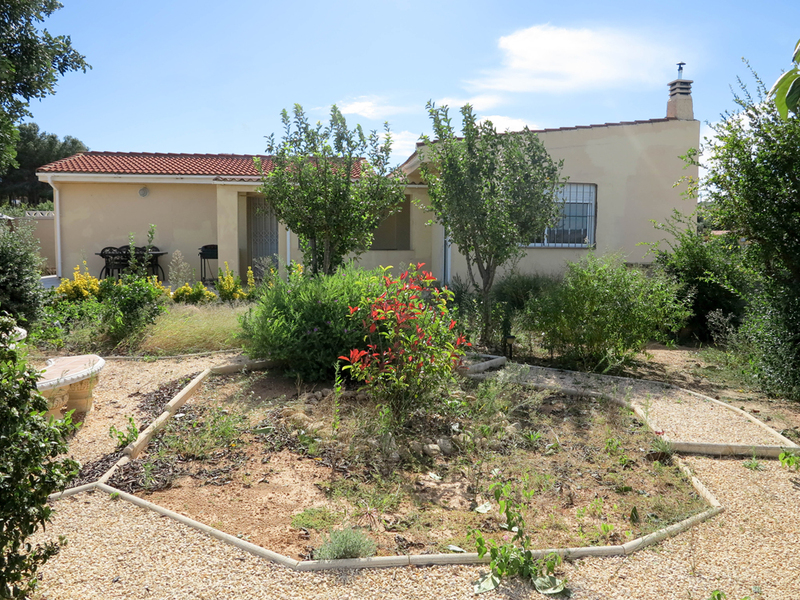 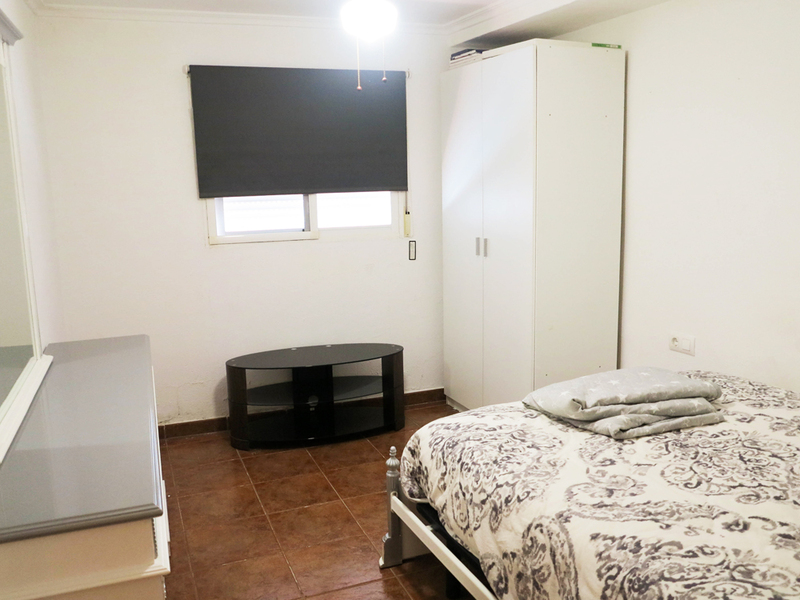 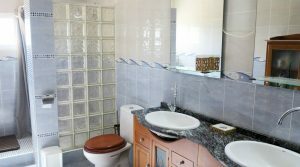 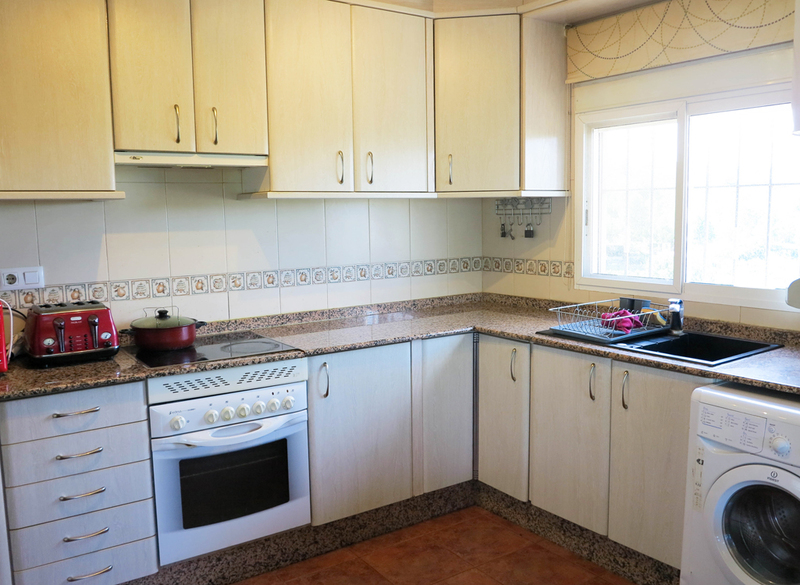 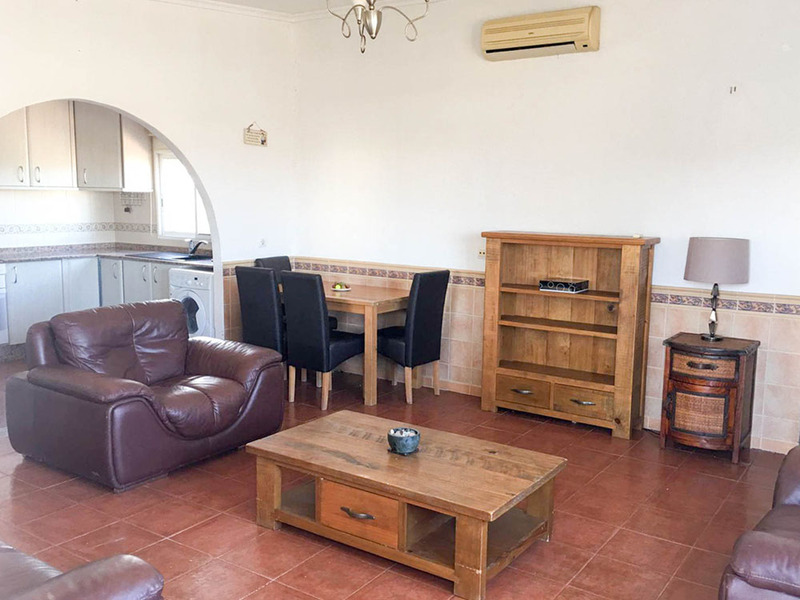 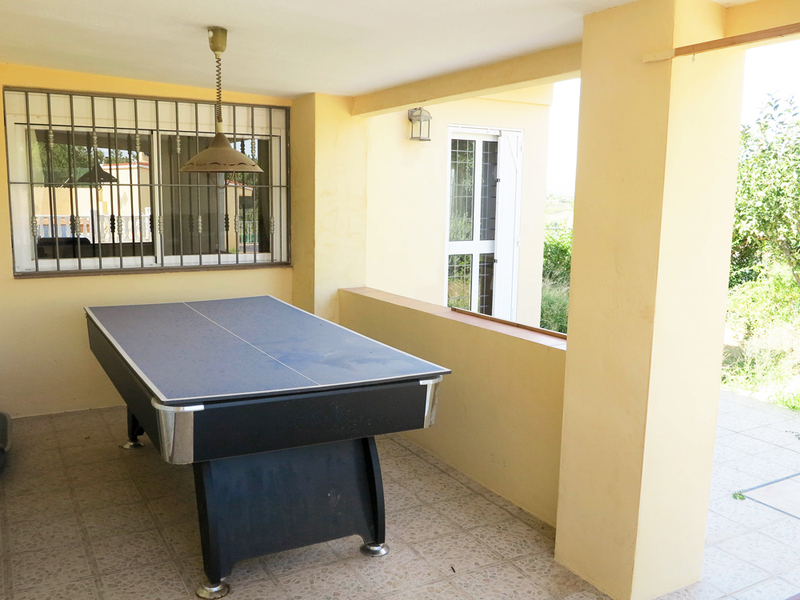 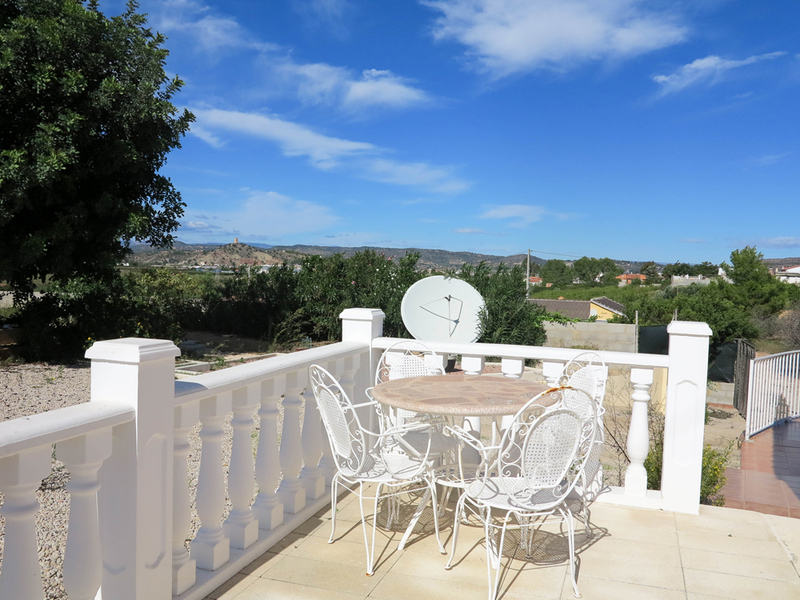 This terrace area needs to be tidied and Azahar Properties have skilled builders that could do this for you very easily together with other small decorative jobs also required so as to make this villa for sale in Valencia perfectly presented. 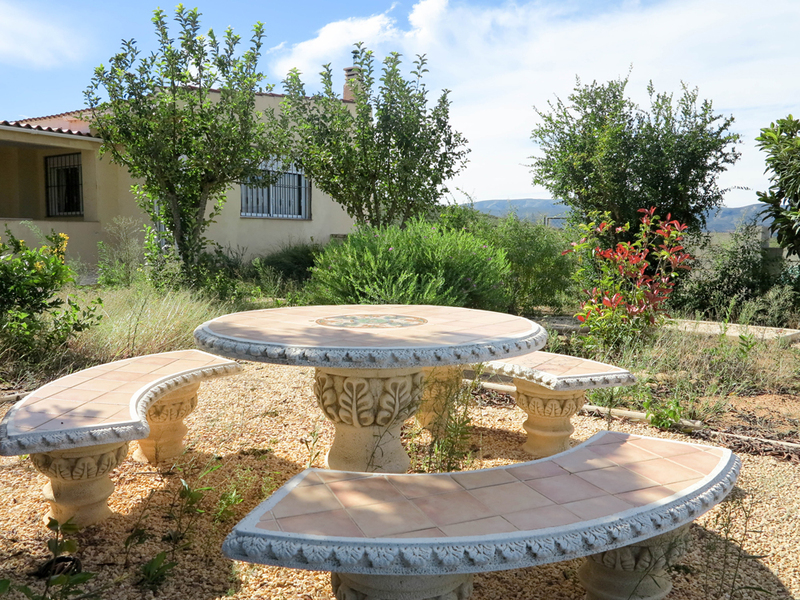 The villa has good outside lighting coupled with solar garden lights, making the gardens look pretty at night. 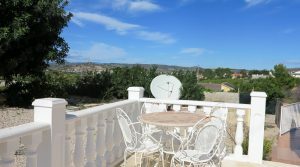 You have a Sky satellite dish for British television and broadband internet is available at this property.